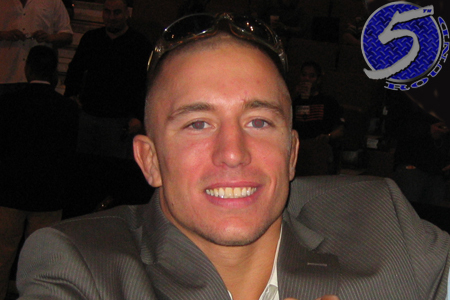 If you forgot to set your DVR to record Georges St-Pierre’s (Pictured) “E:60” piece on ESPN, no worries because we’ve located Tuesday’s video for your viewing pleasure. St-Pierre looks to unify the welterweight crown against interim champ Carlos Condit on November 17th. UFC 154 takes place in GSP’s backyard of Montreal inside Bell Centre.